Nice 2 story home with fenced in back yard, deck, large family room, covered front porch, formal dining room. Preauction period begins 7/12/2013, Online Auction Bidding Start 7/24/2013, Online Auction bidding end 7/27/2013. Direction: From 31W go West on 220, cross railroad tracks, to right on Huntington Dr, pass Dollar General store. 117 Huntington Dr, Rineyville KY 40162 is a Home, with 3 bedrooms which is recently sold, it has 3,330 sqft, 0 sized lot, and No Garage parking. 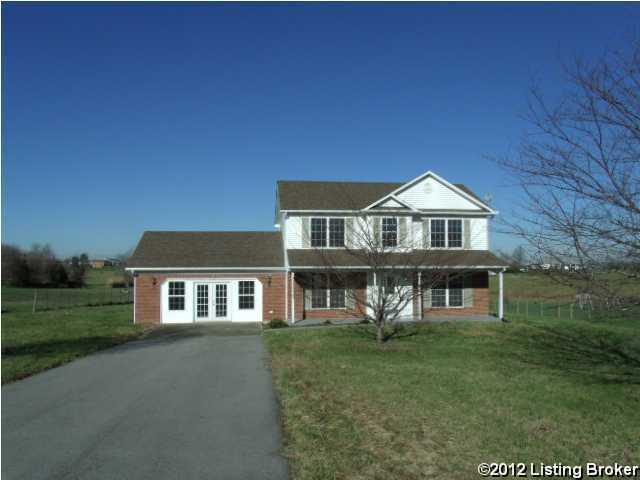 A comparable Home, has 3 bedrooms and 2.5 baths, it was built in and is located at 345 Deckard School Rd Rineyville KY 40162 and for sale by its owner at $ 326,499. This home is located in the city of Rineyville , in zip code 40162, this Hardin County Home, it is in the OTHER Subdivision, and LAVISTA ESTATES are nearby neighborhoods.